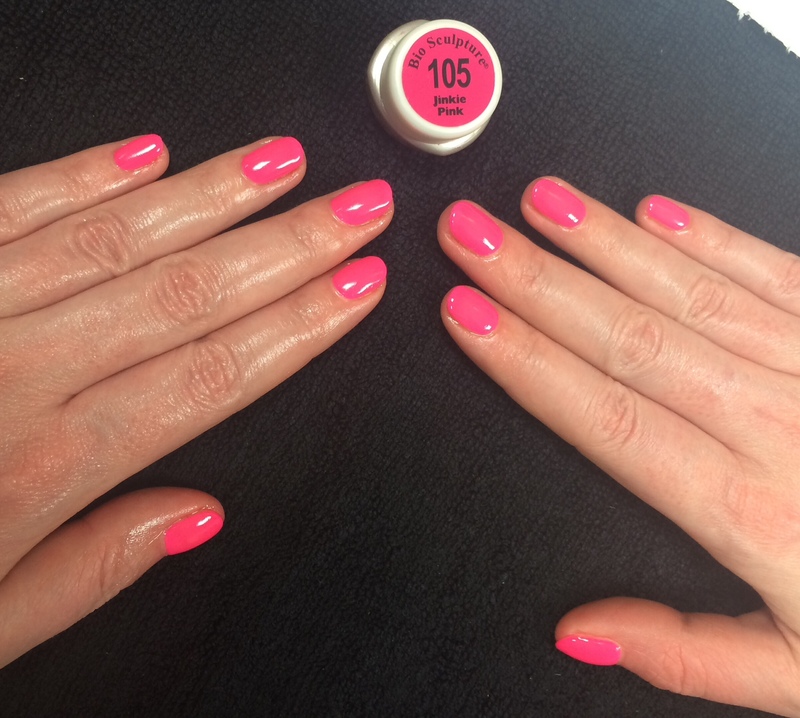 There’s something about hot pink nail colour that I just can’t get enough of, and as soon as I set eyes on Bio Sculpture’s neon pink gel polish, Jinkie Pink, I had to have it on my nails! And following on from my post last month about the new colour collection (read more here), it’s time to report back on how my manicure lasted and my thoughts overall. And I have to say I was really impressed. Not only did the colour rock, but the gel stayed intact for two days short of three weeks, when it finally started to lift near the cuticle on both of my thumb nails, but nothing too disastrous. No chips whatsoever up till then, and I really put it through its paces, doing a fair bit of washing up, plus a morning of intensive gardening and some house cleaning! Removal was fairly quick and easy with the Bio Sculpture soak off kit, and although my nails were a little dry afterwards (the only downside with gel manis), they soon got back on track with the aid of a few applications of nail oil. I would highly recommend Bio Sculpture to anyone considering a gel manicure, and again, if you’d like to find out more about the system, click on the link above.